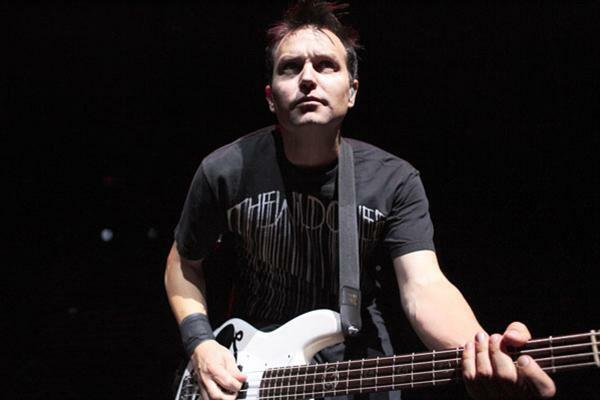 According to Hoppus’ tweets, Nothing and Nobody have already put together “nearly 25 songs in various stages of completion,” and fans can expect an entire album “in the not-too-distant future.” At his point, it is unclear if the outfit’s full-length debut will consist of more remixes, entirely new material, or both. The 42-year-old’s more well-known pursuit, blink-182 (maybe you’ve heard of them? ), currently have a lot on their plate. With plans to headline the Reading and Leeds Festivals this August, and additionally release a new album before year is out, keep your fingers crossed that Mark’s newest undertaking stays on track. In the meantime, you can pick up Blink’s latest here. Though this first offering isn’t quite what I would’ve expected, it’s definitely worth a listen or two. Give us your input in the replies below, and follow us on Twitter for more updates on Nothing and Nobody. and you can follow chris holmes at @holmeswashere. more to come. watch this space. thank you for your time.